College provides full or partial scholarships for diligent and poor students. It also provides scholarships on the basis of academic performance of each semester. Student should describe his/her family and financial background and must provide the valid reasoning for the scholarship. Full Scholarships for the applicants of each program with minimum 75% in +2 Science or I.Sc or Diploma in Engineering, and scoring the highest marks in the entrance exam. Scholarship may be granted to economically needy, diligent and disciplined students. 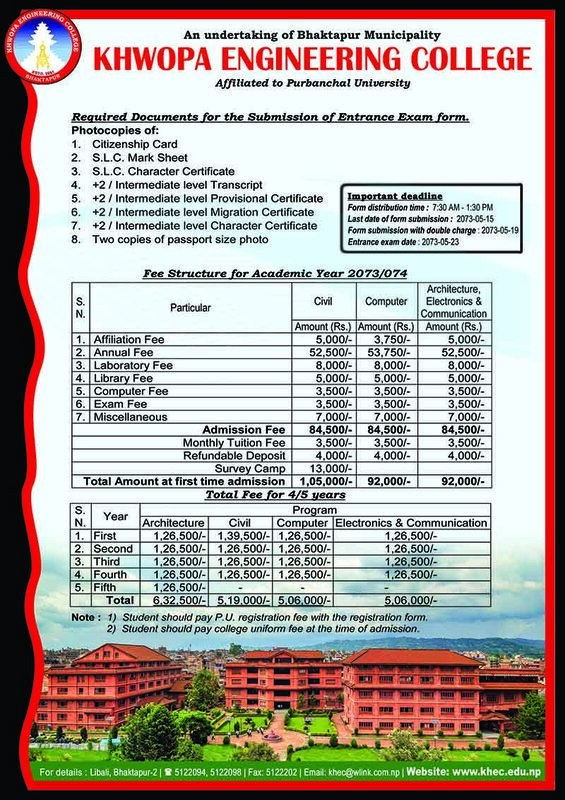 Scholarships of 100%, 50% and 25% are provided on the basis of grade sheet in Purbanchal University examination.